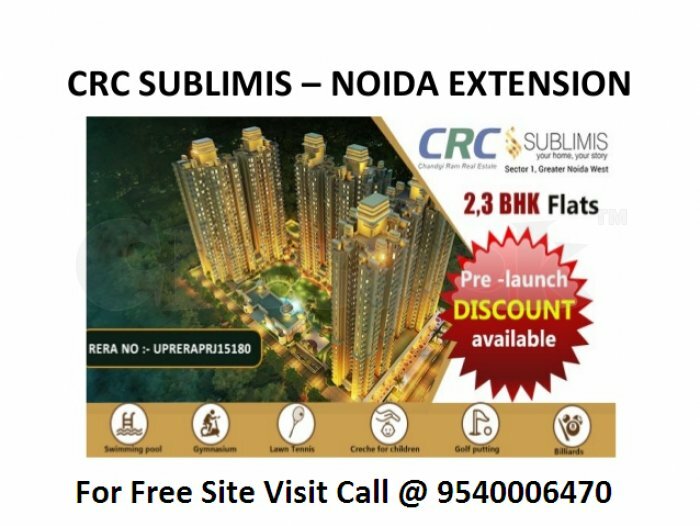 CRC Sublimis Noida Extension is all about spending your life in a peace and calmness surrounded Region with modern-day Coolness and presence This Classic project mirror strength in every detail. 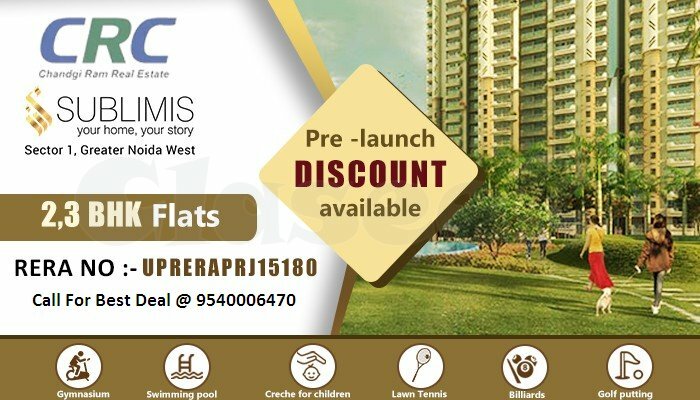 CRC Sublimis offering 2BHK & 3BHK Deluxe Apartment design with open space, best amenities, spaces for both children and elders and aesthetically appealing infrastructure. CRC project Suitable for each person who does not want to settle for the Familiar lifestyle. 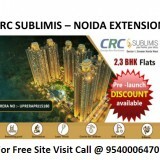 Flats at CRC Sublimis Sector 1 Greater Noida are well Constructed to give you space to Blossom. Each corner of the Flat defines Elegance that is joined with amenity. Get that enticing space for you and your family and Save the admirable memories of your life.